Tomorrow’s First Light is the first book in the Texas Promise series by Naomi Rawlings. Having read and enjoyed Rawlings’ Eagle Harbor series, I was delighted when one of the characters, Ellie Spritzer, gets her own story in this book. I admired Ellie for her commitment to keeping her 8 siblings together and taking care of them through great hardships. When she travels to Texas to marry Sam, the man she had been writing to for a year, he gets a big surprise when instead of the three siblings he was expecting her to bring, she brings eight of them! Sam is such an amazing hero in this story—so tender-hearted and brave to take on this whole family. Ellie is courageous and determined to care for the siblings as best as she can. She’s also considerate of Sam’s feelings. Although things quickly get out of hand, and there are some misunderstandings that arise, Sam wants this family of his own and is committed to making things work. His motto “Two is better than one” helps Ellie understand that they need to work together. With plenty of humor, some suspense and intrigue, romance, and a whole lot of faith, hope, courage, this book is a great start to a new series. I’m excited to see what the next one brings. *I voluntarily reviewed a complimentary copy. All opinions are my own. Marrying a stranger to keep the woman's siblings out of an orphanage is one thing, but when more children than expected pour out of the stagecoach, what’s a man to do? Nervous about meeting her fiancé for the first time, Ellie Spritzer’s lifelong hope of finding love is about to end—or rather, begin. She never imagined her quest for love would take her to the other side of the country with all eight of her siblings in tow, but after her mother dies unexpectedly, what choice does she have? At least the man she’s been writing for the past year is still willing to marry her and take in her siblings… or so she thinks until she arrives in the dusty town of Twin Rivers, Texas. 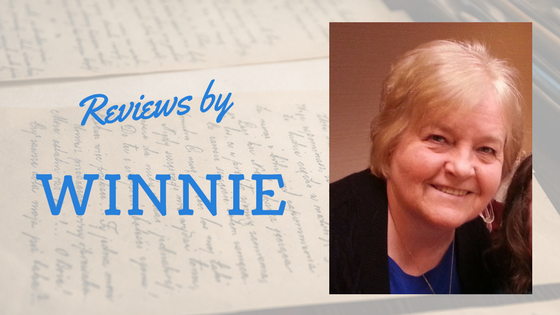 Growing up an orphan, Sam Owens never had a place to call home or a family to love. So if his wife-to-be needs to bring three of her siblings with her, he has no complaints about having a ready-made family. But his mail-order-bride doesn’t arrive with three. She arrives with eight. Sam can’t make himself turn away children in need. But as a beginning rancher, he doesn’t have the resources to care for so many people. 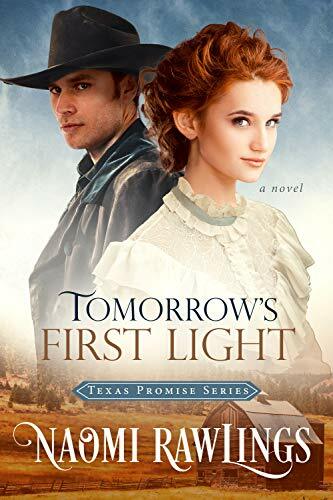 When sinister forces threaten the things Sam and Ellie both hold dear, can they figure out how to keep their fledgling family together, or will they lose the very things they cherish most?Tomorrow’s First Light is the first book in the Texas Promise Series by bestselling Christian romance author Naomi Rawlings. If you like tender marriage-of-convenience stories, you’ll love this heartwarming tale filled with hope and new beginnings.